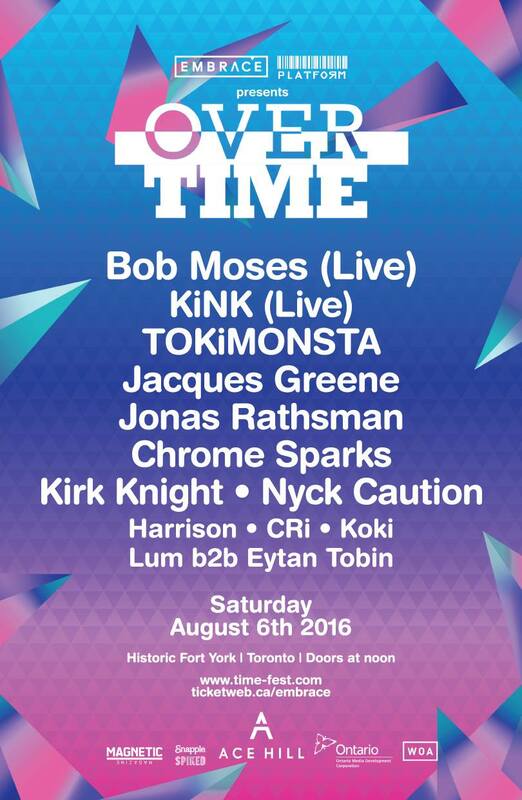 As I mentioned in my post on this year's Time Festival line-up including my picks, Time Festival is back again on August 6 with a fantastic line-up at Fort York. Not content to repeat last year’s format, they’ve added a new stage this year - Over Time - that focuses on their EDM line-up. This includes Bob Moses, KiNK, TOKiMONSTA, Jacques Greene, Jonas Rathsman and many more. Should be a great party! Time Festival features a hugely diverse genre lineup that's really got something for almost everyone, all in a great setting for a very reasonable price. Click here for ticket info.